After achieving success as a Realtor and property manager, Scott DeNeve recognized the need for a brokerage unlike any other and designed with the agent in mind. 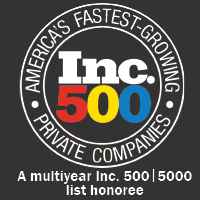 Established in 2005, Platinum Realty has been recognized as the #1 fastest-growing real estate company in America by Inc. 500. Platinum Realty is one of the largest real estate brokerages in the region and home to more than 600 agents, with its roster expanding weekly. Owner, Scott DeNeve, envisioned a company second to none and chose Platinum as its name to indicate both its quality and rarity.